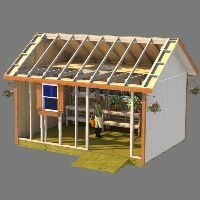 If you are looking to build a gable roof storage shed, this guide is available for free to use with all my gable shed building plans. 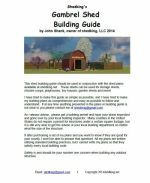 This gable shed building guide is available for immediate download in pdf format. 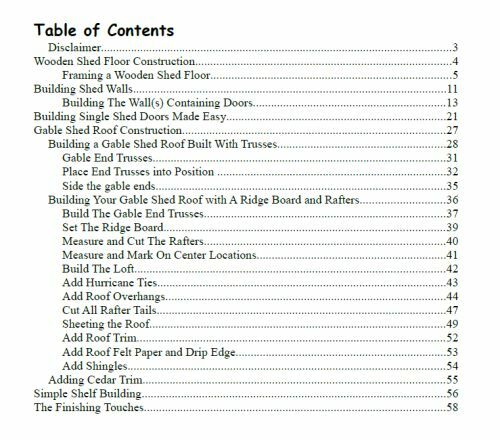 It's 61 pages in length. 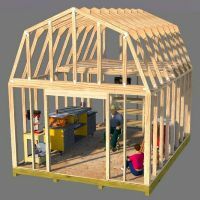 As you can see from the table of contents above, everything you need to know is covered from building the shed floor to making trusses or rafters for the shed roof, and finishing up your shed to make it look 'SWEET'. 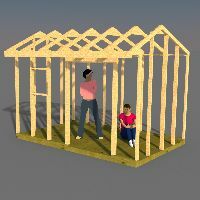 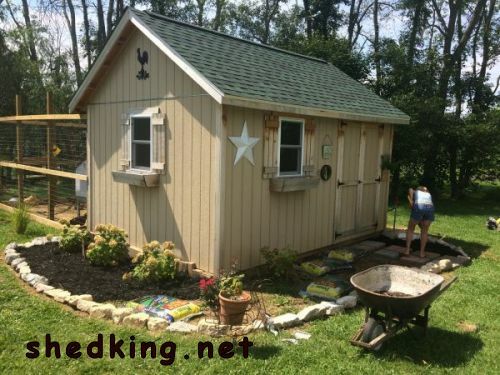 Download your free 61 page gable shed building guide.